It's all about the minimalist! 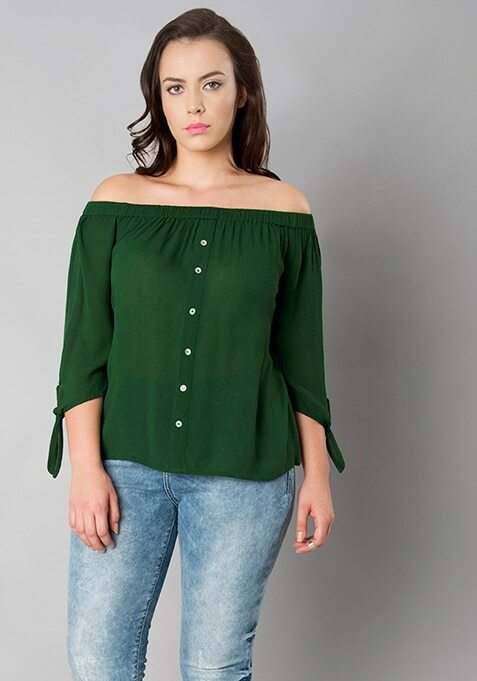 Featuring off shoulder style, mock placket on the front and sleeves that have a knot at the cuff, this emerald green top will garner major compliments. Work It - Combine it with classic jeans and let your hair loose to look every bit chic and cool.